Join Shalla for an afternoon of fun and creativity making paper plates of food which you can enter into the Wigtown Open Show! All materials provided and the fun starts at 2pm. You’ll find the team at Wigtown Show all day in the Craft Tent where you can join in some great craft activities or you can get one of our lovely books signed. 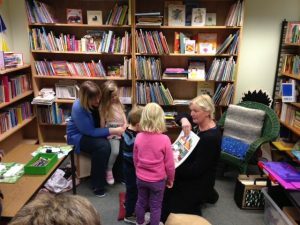 Shalla and Jayne will be reading stories and leading fun activities at Beetroot Sauvage, 33 to 41 Ratcliffe Terrace, Edinburgh. 28th October and 29th October 10am to 6pm. 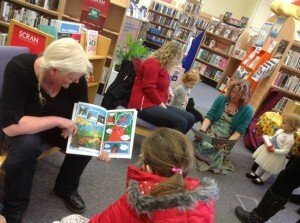 We will be showcasing our books and books by Dumfries and Galloway writers and illustrators during the weekend and we’ll also being doing read and activity session at 2pm on Saturday and 11am on Sunday. Come along and say hi. 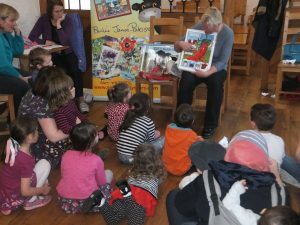 During 2016 we went to a lovely nursery in Gretna, we took part in the birthday celebrations at Kilnford Farm Visitor Centre, we’ve made a herd of Belties with the children at Kirkcowan School nursery and we held a very successful preview of our next book Big Bill and the Larking Lambs during the Spring Book Weekend in Wigtown. Shalla was also invited to take part in the World Book Day fun at primary schools in the Glenkens in Dumfries and Galloway. Saturday 21st May: Giant Knitting at Curly Tale Books in Wigtown. From 2pm Fran Raw will be holding a giant knitting drop in workshop. Come along and join in the fun. Suitable for all ages, no previous knitting experience necessary. 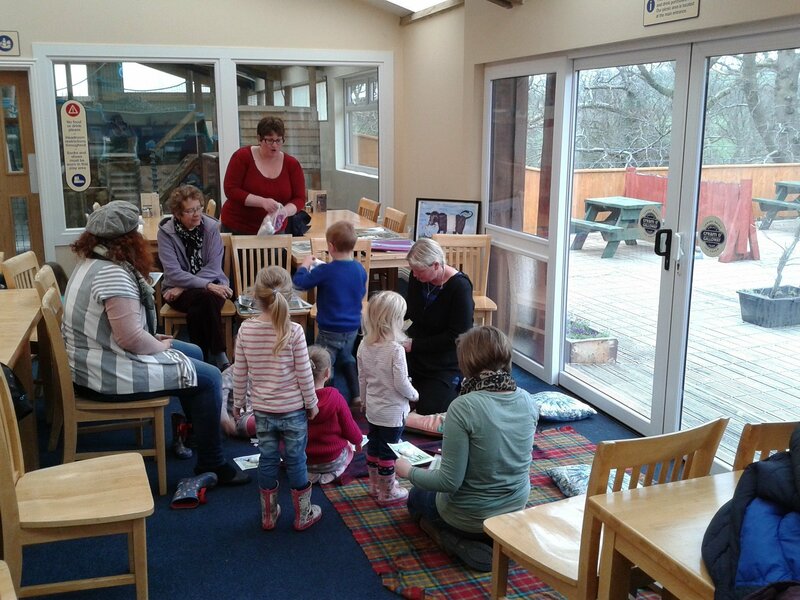 Jayne and Shalla will be visiting the First Steps Nursery in Dumfries. Jayne will also be presenting the Scotland Reads awards at Stranraer Academy. 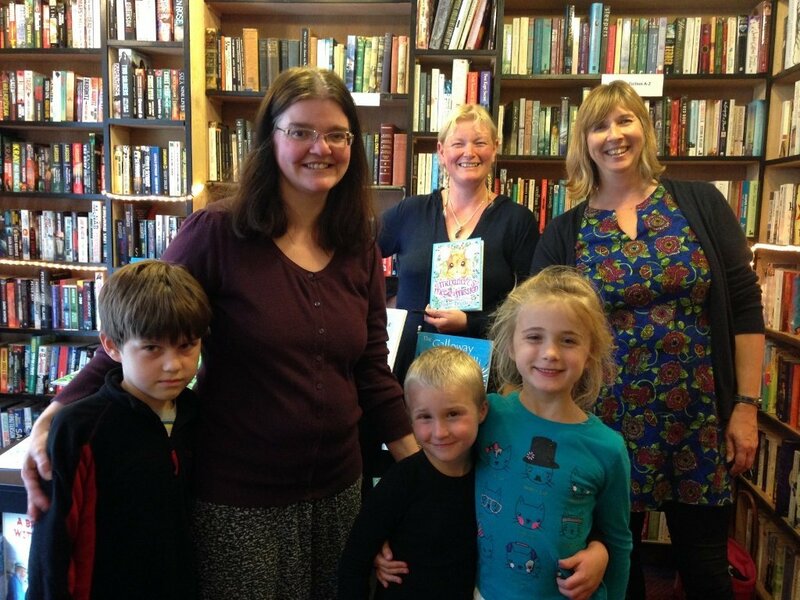 18th to 25th – Independent Bookshop Week at Curly Tale Books in Wigtown. 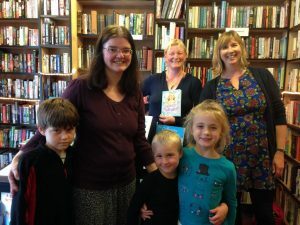 Saturday 18th at 2pm meet Amanda Sunderland and her dog Ash who is now the hero at the centre of her first book for children ‘Wee McAsh to the Rescue‘. Amanda will be previewing the book with a reading and lots of fun activities. Saturday 25th at 2pm. Join in the comic book fun with a workshop created by the publishers of the children’s comic The Phoenix. Monday 4th from 11am to noon: Rhyme Time with Isabelle. Isabelle will be leading a fun session of stories and great activities as part of Wigtown’s community week. This is a free event but spaces are limited, please email us at mail@curlytalebooks.co.uk to reserve your seat. Wednesday 3rd: Shalla will be holding a make your own sock Beltie workshop in the craft tent at Wigtown Show. Sunday 21st: Jayne will be telling the story of Treasure Island at the Lighthouse Weekend at the Mull of Galloway. During August our books will again feature in the book tent at the Edinburgh International Book Festival. Wigtown Book Festival 23rd September to the 3rd October. Annual literary festival in Scotland’s National Booktown. 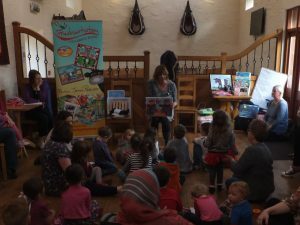 We launched our new book Big Bill and the Larking Lambs! 21st October – Renita Boyle will be telling the story of the Strange Visitor at our Wigtown bookshop at 6.30pm. Free! 22nd October – Teddy Tales with Thelma Hancock and Jeremy Smith 11am. Free! 22nd October – Drawing Fire and Light with Shalla and Elliott Gray 2pm. Free! Tuesday 14th, 10.30am. Storytime at Cream O’Galloway. We’ll be reading some of our stories and we’ll have some fun activities too. Free event. Saturday 2nd May, 11.30am, Box of Frogs Bookshop, Wigtown. As part of the Wigtown Spring Book Weekend Shalla will be reading the new edition of her first book Charlotte’s Woolly Yarn, A Spin Around South West Scotland. She’ll also have lots of activities including creating your own Charlotte picture. Free event. Saturday 2nd May 2.30pm Box of Frogs Bookshop, Wigtown. As part of the same Book Weekend Jayne will be talking about her new book Maxwell’s Mega Mission which is due out this spring. Maxwell is a wood mouse who thinks his life is boring and hopes it will change when Dad decides to take him on a mission but the real adventure starts when Maxwell tries to go it alone. This new book is aimed at the seven to nine year old age group. Bring along an old two litre fizzy drink bottle to turn into a mouse trap. Free event. Saturday 22nd May: Wagtongues at Low’s Newsagents, Castle Douglas. Sunday 7th June: Glenluce Tractor Rally, Glenluce, Wigtownshire. Look out for our stall with special offers! Tuesday 23rd June: Bookpoint bookshop, Dunoon. We’re delighted to have been invited to take part in Independent Booksellers Week with an event at this lovely bookshop. 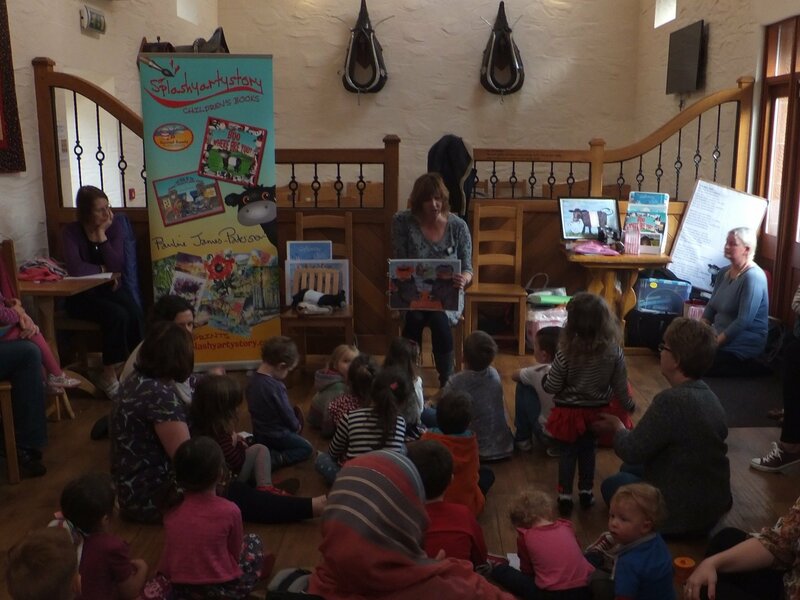 We’re at a local nursery in the morning and at the bookshop from 2.30pm for readings and fun. Come and join us. Tuesday 28th July: Belted restaurant in Carlisle. 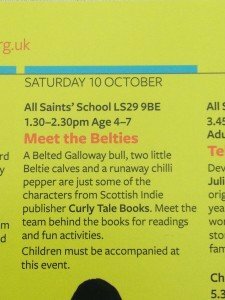 We’ll be reading from all of our Beltie books and we’ll have lots of activities for children including songs, colouring and puzzles. We’ll be doing two sessions, one at noon and the other at 4pm. 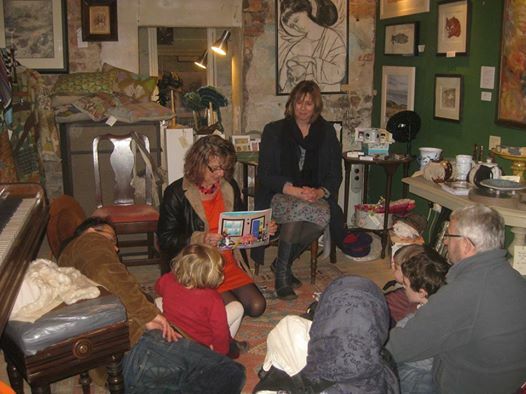 We’ll be holding two fun storytelling and activity sessions in the craft tent. We’ll also have our books for sale with some great show offers. The activity sessions will be on at 12.15pm and 2.45pm in the craft tent. Friday 14th: Atkinson Pryce Bookshop, Biggar. Jayne will be reading some of the stories from Curly Tale Books at this lovely independent bookshop at 11am. Jayne has been invited to read our stories at the AGM of Wigtownshire Homestart. Saturday 29th: Dumfries, Georgetown Library 9.30am to 10.30am and the Ewart Library 11am to 11.45 am….Also The Moffat Bookshop at 2pm. This is the first date in a mini tour of Dumfries and Galloway Libraries. Jayne will be reading from her new book Maxwell’s Mega Mission and Shalla will be in charge of some really fun games she’s devised. Come along and hear about Maxwell and his dangerous adventure. We’ll also be dropping in at the lovely Moffat Bookshop to sign our books and give away some colouring and quiz sheets. Pop by and say hello. We haven’t quite made the billing for appearing at the festival – yet! But our books will be there. If you visit this great annual event held in Charlotte Square, Edinburgh have a look at our display inside the children’s bookshop tent. Our display at the Edinburgh Book Festival Shop. Wednesday 2nd: Langholm Library 4 to 5pm. The second in the Curly Tale Books tour featuring Maxwell’s Mega Mission. 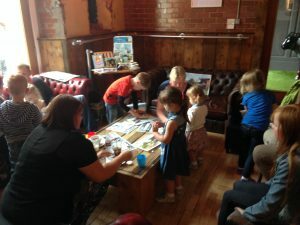 Readings from the adventure story along with fun games and activities. Wednesday 9th: Stranraer Library 3.45pm to 4.45pm. The third date in the library tour featuring Maxwell and his mouse family in a story of danger and adventure. 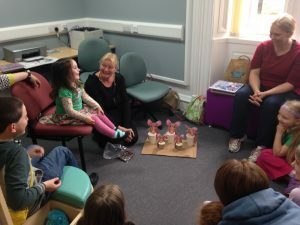 Marble fun at Stranraer Library. Maxwell the woodmouse will be visiting Annan library, come along to hear about his adventures and find out the answer to who is Professor Whiskerton and why is she so deadly? 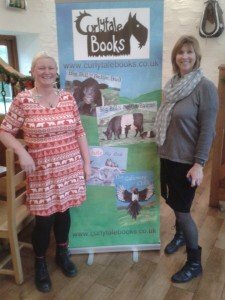 Jayne will be sharing an event with two writers from the region. She will be reading from her new book Maxwell’s Mega Mission and there will be games to play and activity sheets to take home. Shalla will be sharing an event with popular storyteller Renita Boyle. Shalla will be reading The Galloway Chilli and the event will include songs and fun activities. Saturday 3rd October : Dunoon Book Festival. We’ve been invited to share our books with children at the annual #Dunoon Book Festival in beautiful Argyll. We’ll be appearing at the Burgh Hall in Dunoon at 2pm. Saturday 10th October 1.30pm, All Saints School, #Ilkley. 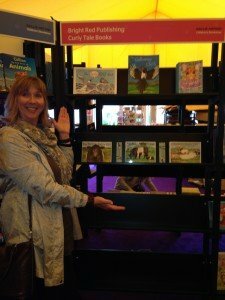 Ilkley Literature Festival, Yorkshire. We have been invited to take part in the official fringe of this celebrated long running book festival. We’re very excited about being at the festival – especially Jayne who grew up in the area. We’ll be focussing on our Beltie books but we’re sure that cheeky chilli will find a way there and the Quite Big Rock might rumble into town. We might even hear a squeak from Maxwell mouse. If you live in #Yorkshire do come along and see us – it’s free! Further details here. 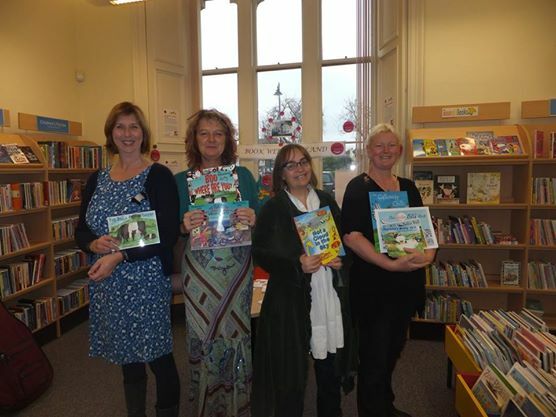 We’ve been invited by the Dumfies and Galloway Library Service to take part in Book Week Scotland. We’ll be talking to local school children about our books from 10.30am. We’ll be launching our new book Sammy the Rainbow Snail at a Christmas Fair in the town where author Alan Grant lives so we’re hoping he’ll come along to sign copies for us. Further details to come. Jayne with Splashyartystory’s Pauline James at the Yellow Door Gallery. We had a really busy year in 2014 with our first appearance at Kilnford Barn in Dumfries followed by events at the Wigtown Book Festival, the Borderlines Festival in Carlisle, Stranraer Library, The Open Book, Wigtown, Kirroughtree Visitor Centre, Newton Stewart and the Livingstone Gallery in Castle Douglas. Here are a few photos from our events in 2014. 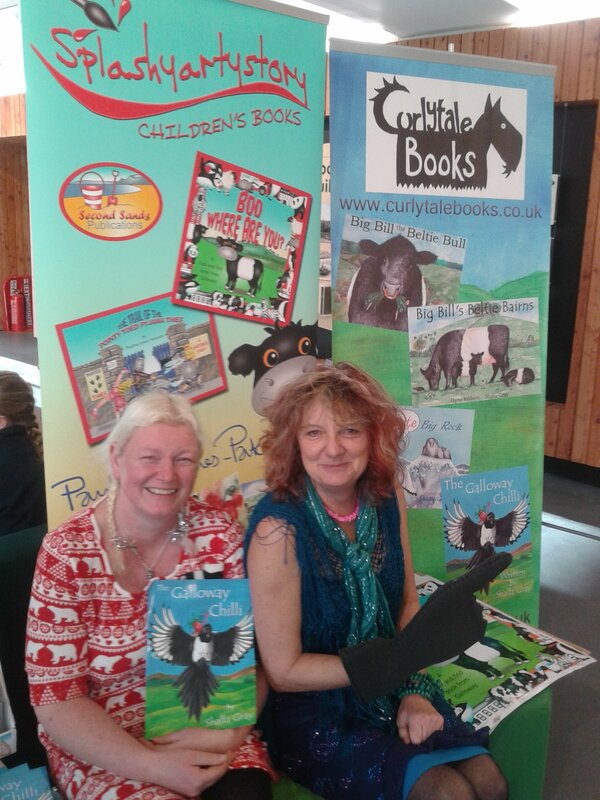 Shalla and Pauline James from Splashyartystory ready to read at Kirroughtree Visitor Centre. 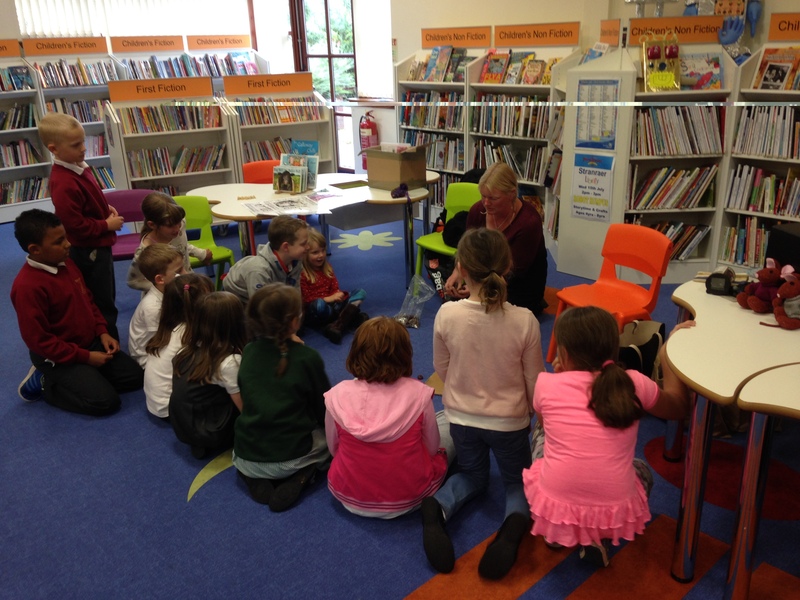 Shalla reading The Galloway Chilli at Wigtown Library during Book Week Scotland.